Four miles of asphalt trail through a scenic prairie riparian area. Four bridges provide several opportunities for creek crossings. A lovely natural rock waterfall is worth visiting! From north 435 Hwy, take D Hwy west. Continue on D Hwy to N Hwy and go North. The South Trailhead is less than a mile up the road on the right side. From north 435 Hwy, take D Hwy west. Take your first right on Running Horse Road. Go left on NW 134th Street. Take your next left on Timber Park Drive. Take your first right on Timber Park Lane. Take the 3rd left on NW 134th St. Go left on Sycamore Drive. This street dead ends at the North Trailhead. "Prairie Creek Greenway contains a 4 mile, 10' wide asphalt trail for pedestrians and bicyclists. The greenway is open from dawn to dusk. This trail promotes meaningful experiences for users, fulfills several shared use needs, and is a destination with future connections to surrounding areas and trails. Further, this uniquely planned and managed project provides positive impacts to the area and the environment. 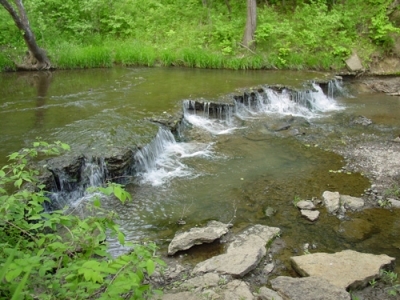 Prairie Creek is a major Platte County watershed. The creek and several of its tributaries meander through the County's 120 acre greenway south of Platte City. 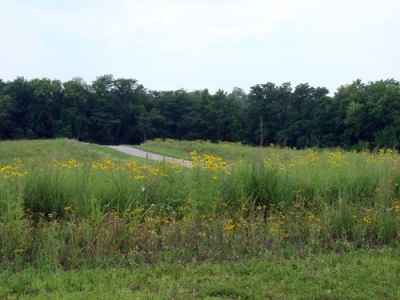 Previous to Platte County ownership, the greenway property was farmland. The majority of the greenway is within the 100-year floodplain of Prairie Creek. The trail leads users through some of the most unique, natural beauty of Platte County. Scenic views along the trail include several creek crossings, a rock waterfall, wildlife, limestone outcroppings, native forest vegetation, an abandoned oxbow, and an historic farm operation. This relative sanctuary is tucked away to be forever preserved from the surrounding, bustling residential development. Shared uses and diversity of the trail corridor fit a variety of area needs including wildlife protection, recreation, stormwater and water quality coordination, and transportation. 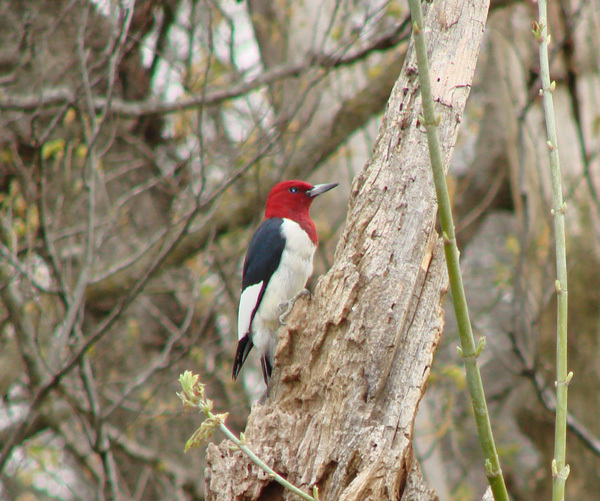 The greenway provides a preserve for wildlife protection and viewing as well as other passive recreation opportunities. Stormwater studies for the watershed were used for the trail design. The County also continues to review and implement new plans to protect Prairie Creek from the adverse effects of stormwater runoff. Enveloped in a beautiful greenway with scenic views, this trail is a true destination on its own. However, it also provides many important connections. Users can currently access surrounding residential areas. These residential areas contain a wide demographic of trail users from young families to retirees. In the near future trail connections will be made to the Platte County Community Center North, local schools, retail areas, a city park and several regional and community trails. The Prairie Creek Greenway will one day be a part of an interconnected regional trail system. As part of the Northland Trails Vision Plan (NTVP) this trail will ultimately connect to Tiffany Springs Park (a major, regional park) and other NTVP priority trail routes. A diverse number of partners have been and will continue to be used to construct future phases of the trail. Great cooperation is exhibited by the local development community's commitment to dedicate land to the County and build phases of the trail. Over half of the existing trail was built and paid for by local developers. 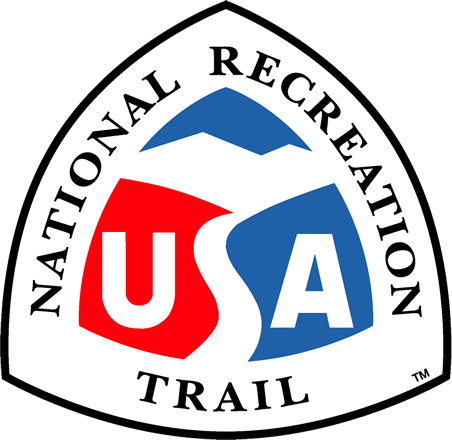 Other partners who have assisted with trail construction and amenities are the Missouri Department of Natural Resources, the Missouri Department of Conservation, and local contractors. The County currently uses cost-effective strategies to manage the greenway and trail. One, part-time employee oversees the trail and provides daily maintenance. Mowing of greenway areas is minimized by using haying operations in the meadows. Within a year, the hay areas will be converted to prairie. This conversion will further decrease management costs while providing numerous opportunities for environmental protection and education. 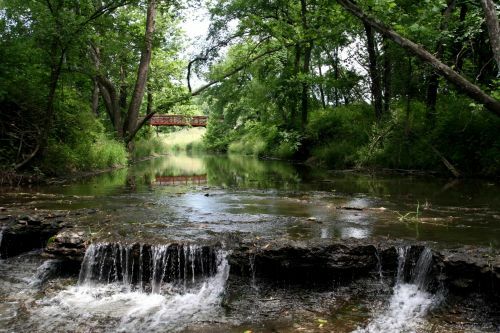 Prairie Creek Greenway is a protected environment that helps stabilize Prairie Creek and its tributaries, provides habitat for wildlife and contact with nature for trail users, and encourages positive economic impact through community and regional connections. 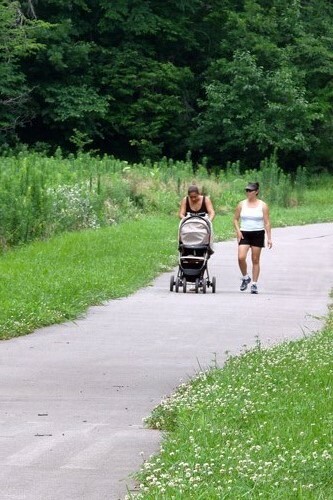 Prairie Creek Greenway offers recreational opportunities and transportation for a broad population in a cost-effective manner. 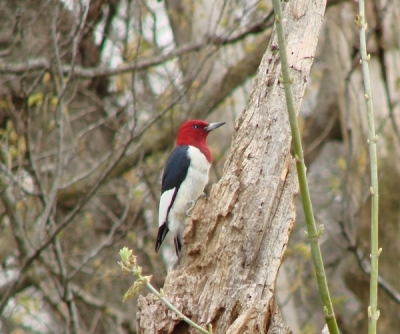 Above all, Prairie Creek Greenway is a beautiful, peaceful place to exercise and enjoy nature. 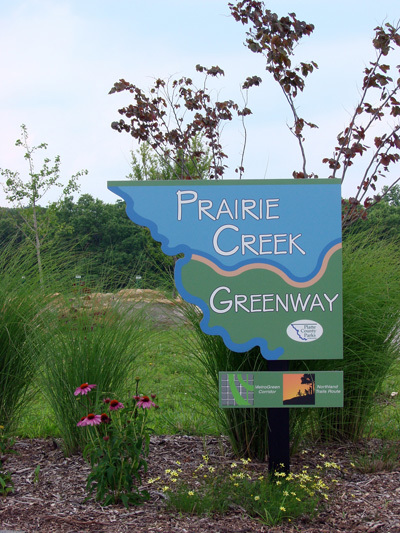 Prairie Creek Greenway Entrance Sign.